Asylum seekers who have proven a credible fear for their safety will no longer be able to ask a judge for bond, the justice department says. This judgment, which overturns a George W Bush-era policy from 2005, is Mr Barr's first ruling on immigration since taking office. The move is seen as an effort to end what President Donald Trump describes as a "catch-and-release" policy towards illegal immigrants. 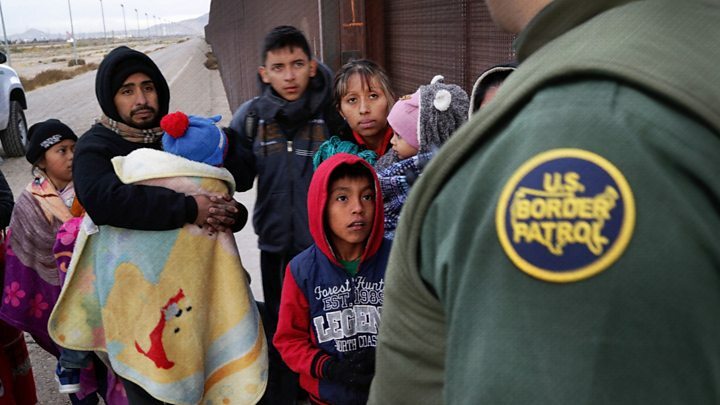 According to US Immigration and Customs Enforcement (Ice) - the agency responsible for detaining and deporting immigrants in the country illegally - the average daily population of immigrants in detention was over 46,000 for the 2019 fiscal year. Mr Barr's ruling does not affect asylum seekers who cross at official ports of entry or migrant children, who are required to be released within 20 days of entry. In an acknowledgment that the ruling may clog detention facilities, Mr Barr wrote in his 11-page order: "I will delay the effective date of this decision for 90 days so that DHS may conduct the necessary operational planning for additional detention and parole decisions." The American Civil Liberties Union (ACLU) threatened to sue over the decision, calling it "the latest attempt by this administration to punish asylum seekers for seeing refuge in the United States. "The decision could result in the unlawful detention of thousands of people. The constitution does not allow the government to lock people up without due process."